Buy this and your school gets £9.19 to spend on books Orders of £10 or more will earn 25% of your order value back in Scholastic Rewards for your school. Ask any grown-up who loves books, and they’ll tell you the same thing. This is one of the greatest fantasy series ever written for children. Maybe THE best one. 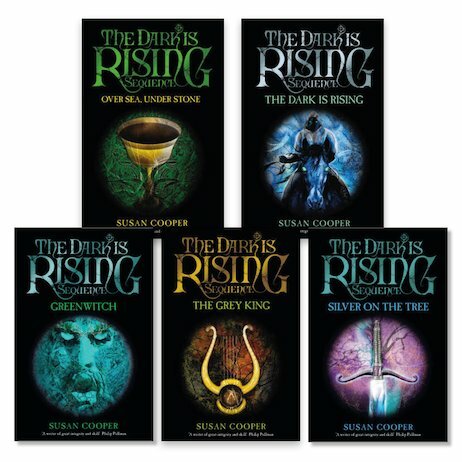 Every year at Christmas, fans re-read the second book, The Dark is Rising: the scariest, most hypnotic winter tale you could ever imagine. And now it’s your turn. When Will wakes up on Midwinter’s Eve, the day of his eleventh birthday, he steps into a changed world of fear, snow and ancient magic. The Dark is rising, and he must join the Old Ones of the Light to drive it back. A terrifying battle between good and evil. A lost king buried under a hill. Herne the hunter, riding the storms. The mythic grail, lost for centuries. A rook’s feather in the black night. A wild wish that might save you. Pure magic: a spine-tingling fantasy that will forever transform winter (and the whole world) for you. Press Start! : Game Over, Super Rabbit Boy! & Super Rabbit Boy Powers Up!